This week I thought it would be fun to share our tips for saving money for our overseas holidays. Back when I was 22 years old, and a poor University student working multiple part time jobs, it literally took me four years to save the money to go overseas. This is back when airfares alone were around $2000 AUD. No matter what your income, if you are determined to go, you can make little life adjustments and make your dream a reality. As Walt Disney once said “If you can dream it, you can do it”. 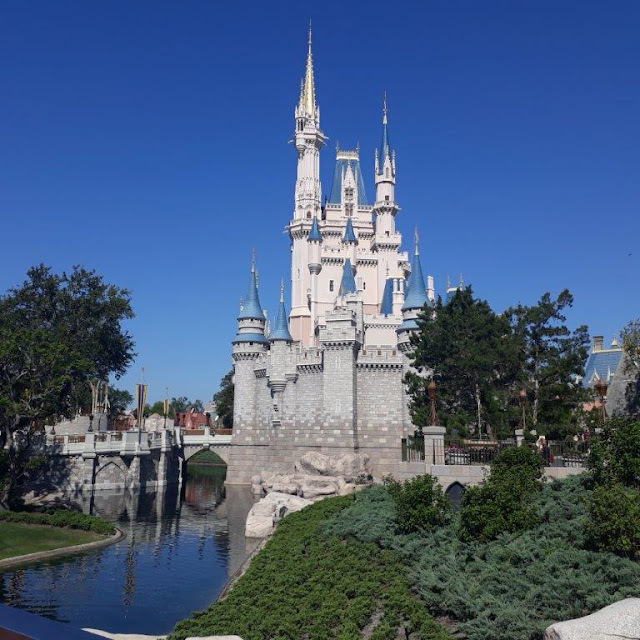 My Husband D.H and I had a lot of fun compiling this list, calculating we save about $14, 302 per year – which is a trip to Anaheim Disneyland from Australia, just from these money saving tips below. The trick is, any money saved – you must put in your savings account –and not spend it! All amounts below are in Australian dollars. Key savings tip #1 – the small dollars add up! Open a separate savings account. Keeping all your money in one bank account never works. Limit your number of withdrawls from this special savings account and make sure you have no ATM access. Any savings in this account, don’t touch it! Find the highest interest rate savings account and be prepared to move banks for a higher interest rate. Refer to 'Key savings tip #1 – the small dollars add up!' There are websites like www.finder.com.au that compare savings accounts. Interest is free money so make sure your money is definitely working for you every single day it is there. Be wary of high interest introductory rates from banks that drop back to normal after 3 months. Often these are not that competitive if you work out the interest, over a 12 month term. One of the great things about interest is it compounds over time. You will get interest on your interest! Over time, this adds up considerably. Do a budget. You might not stick to it, which is ok. A budget can always be modified as you go – that is the secret to budgets. One week you might have unexpected expenses, you just modify your budget and keep going. You can adjust the following weeks budget to incorporate the unexpected expense. This is what big businesses do. They do not have set budgets. Re-do the budget and stick with it. But make it something reasonable you can stick to or allocate some money as a ‘buffer’ for emergencies. It is useful to do a ‘money audit’ over a week. See where your money is actually going over a week. Your online bank account might have this feature already and tell you where your money is going. Do you always buy an extra coffee when you are at X? Find out where your weaknesses are in your budget and see whether you can get rid of that expense. Are you a 2-car family? We got rid of one of our cars and save heaps of money getting by with one car. Yes, it requires a lot of negotiation over this one car’s use – however, we have not found it a problem at all. We live near public transport and so use that quite a lot [Estimated savings $3000/ year which covers car insurance, petrol, maintenance, parking, motor registration. This does not include the car purchase!!]. Please note that this one savings tip alone is also the price of a cheap holiday! Shop around annually for car/house insurance. Be willing to move insurance agencies for a better deal. I know one friend who sticks with the same insurance company she bought from the original car dealer, year after year. She doesn’t bother to check. However, if you check you may well find you can save quite a lot of money by moving companies OR negotiating with your current insurer (or negotiate to pay more in Excess). You might even negotiate a discount for having multiple insurances with the one company. Insurance prices should also not be going up on a depreciating asset [We estimate that we save $70 per year in insurance and just renegotiated again!] Insurance companies try and put it up $100 per year and we negotiate it to go down rather then up. Carry less cash on you. I find cash is easier to spend then cards. Some people may find the opposite is true. Do what is best for you. If you use Cash, often the change in coins, gets ‘lost’- or spent! Remember rule #1, the small dollars add up! Want or need? Every item you purchase –ask yourself is this a Want or Need? If it’s a want – then you can live without it and put that money towards a holiday instead! Eating out – Sometimes you can just get away with eating from the salad bar for a cheaper price then a full main meal. As a University student, this was often a cheap way of going out but still catching up with friends. Limit Christmas and Birthday present spending. Some people spend a ridiculous amount. Stick to a strict budget and limit how much you spend on everyone and whom. If you think about it, a lot of gifts are actually unwanted and some are even re-gifted. Last year everyone in my extended family got the same gift – Haighs Chocolates! It also saved time by just getting everyone the same thing. Use UBER rather then Taxis. There is now UBER eats too which is cheaper than dining out. Check you are getting the best deal from your Energy providers (gas, electricity etc). Be willing to swap Energy providers and use that as a negotiating tool to get a better deal. You will find that they are often negotiable to keep you as a customer. Use Loyalty cards like Flybuys. This is where you spend money at the same shop and you accrue points, and they give you discounts. [We save every week, $10/week or $520 per year]. Last week we actually saved $30 by using Flybuys! Visit your local Opportunity shop (Op Shop or second hand shop) to get very cheap CD’s, DVD’s. Use Vinegar to wash your clothes. Especially for clothes that are black. Its cheaper than other washing products. At University, buy second hand text books, or buy new and sell them at the end of the year to the next years cohort of students. Don’t wait too many years before selling as they might upgrade the text book. You can always borrow from the library if required again in the future. Books – You can get many book titles from Amazon as eBooks for free or low cost (under $10). Old Classic titles are free as out of copyright. Make sure you claim all your tax deductions that you can. Look into what you can claim and make sure that you do! This is money back to you! Save your tax refund money! The Smith Family put me on to a great website called iknowthepilot.com The website advertises flights on sale, and they are certainly great deals. You subscribe, and it sends you email alerts of cheap airfare deals. You do not book the flights through them. The cheaper you can get your original flights, the cheaper your holiday will actually be. Travel off peak or at the very least in the ‘shoulder’ season. Shop around for Travel insurance. You can often find travel insurance cheaper than the travel agents and I strongly suspect they take a ‘cut’ of the price! You do not need to take the travel agents travel insurance they recommend. Please make sure you do take travel insurance though and it is with a reputable company! This is not something you really mess about with! So there you go, how to save $14, 302 AUD per year without really trying which is easily a trip to Disneyland and more. Remember, any savings at all, need to go back to your untouchable savings account. It is not extra money to spend!! If you have found these tips useful, please feel free to comment below. Just so you know, I am not sponsored by anyone, these are true savings. I am definitely guilty of the work lunch, though I don't buy any drinks at all (I drink water most of the time, bar the occasional frozen Coke or iced chocolate) and I've done the math on that multiple times $10 - $15 per day, up to five or six days a week can be nasty. Might be cheaper and healthier for me to stop eating - the other hard part is finding healthy purchased meals too. I had no idea flights were so expensive - I just flicked over to the Qantas site to give me an idea of the cost to fly to London - from Melbourne over $1200! And that is on sale! From Adelaide it is well over $2000! For the four of us that would be over $6000 just to get there and back. I recently did the math on a holiday to Cairns (on our list for a revisit) and I found a house in the middle of the rainforest - adding it all up accommodation and estimates for travel (I think, it's been a while since I did it) a two week holiday would cost $6000 for six people (I included my Sis and her man). With savings we will probably do it or something like it in 2019/20. Totally agree with the checking accommodation's individual sites, particularly here in Australia as several times I've managed to hunt down cheaper deals with direct contact with the owners as all those accommodation sites charge fees - and watch out for some of them like AURA(?) They appear to be an extra middle man grabbing sites like Country Getaways and marketing them again with a yet higher price. Thanks for the list. Certainly full of smart reminders (yes, we have takeaway at least once a week ;) ) There are plenty of money leaks in my budget. I've plugged lots of them out of necessity, but food is our most expensive item. Comes from laziness and time issues. I really should have another argument with our electricity supplier, or boot them out completely.